According to PROUT, to facilitate increased production economic holdings must first be reorganized. An economic holding means a holding where output exceeds input. It is not possible to predetermine the size of this economic unit. While considering input, output, productivity, etc., to determine the optimum size of an economic unit, factors like the fertility of the soil, climatic conditions, etc., will have to be considered. Today many people believe that increased production is possible even if landholdings are small. Increased production depends upon the expertise of farm managers and their correct, timely decisions. If managers are competent, then even very large farms can increase production. Of course, it is not necessary that all farms should become large. The main thing is that the holdings should be economically viable. There is no valid reason why there is a fifteen percent loss in the annual production of the large collective farms in the Soviet Union. The following should be remembered. First, distributing land to people will not solve their problems. The ownership of the land is inconsequential; what counts is the production from the land. Secondly, merely delegating the management of land to someone will not yield the desired production. It is not always possible for one person to invest the money necessary to cultivate the land according to the most modern methods, so the production of the land is bound to decrease. Above all, in a healthy economy, economic decentralization is essential. After creating a congenial environment, land will have to be handed over to cooperative management. 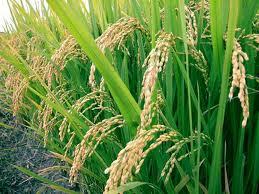 Then, with the help of appropriate scientific technology, it will be possible to increase agricultural production. There should be a four phase plan to introduce cooperative land management. In the first phase, all uneconomic holdings should be required to join the cooperative system so that they will become economic holdings. In this phase, cooperatives will only consist of those people who merged their land together to make uneconomic holdings economic. Private ownership will be recognized. For instance, one person may own one acre, another two acres and a third person three acres within the cooperative. Each cooperative member will be entitled to a dividend based on the total production in proportion to the land they donated to the cooperative. Each individual will retain the deed of ownership of their land, but agricultural activities will be conducted cooperatively. Consequently, land which remained utilized as boundary lines will no longer be left uncultivated. In certain places in Bihar and Bengal the total area of arable land is less than the amount of land wasted on boundary lines. If this system is implemented, all will benefit. In the second phase all should be encouraged to join the cooperative system. In the third phase there should be rational distribution of land and redetermination of ownership. In this new system two factors will determine the rational distribution of land – the minimum holding of land necessary to maintain a family, and the farmer’s capacity to utilize the land. In the fourth phase there will be no conflict over the ownership of land. A congenial environment will exist due to psychic expansion because people will learn to think for the collective welfare rather than for their petty self-interest. Such a change will certainly not come overnight. Unless there is suitable psychic preparation through internal urge and external pressure, adjusting with the time factor, people will never accept this system, and it cannot be forcibly imposed on them. The leaders of the Soviet Union were ignorant of the collective psychology of the people, so they tried to impose collective farming by force. This produced severe famines and massive civil unrest. While trying to cope with these problems, the administration resorted to brute force instead of adopting psychological measures, and as a result they annihilated many people. Sadvipras will never go against the spirit of a country and cause its ruin. Many people raise questions regarding cooperatives because in most countries the cooperative system has failed. On the basis of the examples to date, it is not appropriate to criticize the cooperative system. This is because most countries could not evolve the indispensable conditions necessary for the success of the cooperative system. Cooperatives depend upon three main factors for their success – morality, strong supervision and the wholehearted acceptance of the masses. Wherever these three factors have been evident in whatever measure, cooperatives have achieved proportionate success. Take the case of Israel. Because the country is surrounded by enemies on all sides, the people are extremely aware of the need to be self-reliant. People want wholeheartedly to consolidate the national economy. Thus, they have converted arid deserts into productive agricultural land through the cooperative system. As this kind of mentality was never created in India, India is a classic example of the failure of the cooperative system. Indian cooperatives were not created for economic development but for the fulfilment of political interests. Under such circumstances it was impossible for the cooperative system to succeed. Good examples must be established to encourage people to adopt the cooperative system. There should be pilot cooperative projects, machine stations, adequate irrigation systems, and improved seeds and insecticides. At the same time people must be educated about the beneficial aspects of cooperatives. Instead of educating people how to increase the productivity of their land, the leaders of India show films on birth control in the market place. I call such people the greatest enemies of humanity. PROUT advocates maximum modernization in agriculture and industry. In the cooperative agricultural system, modern equipment must be utilized because such modernization will facilitate increased production. For example, tractors can dig the land very deeply, bring low level soil to the surface and force the the top soil below. The fertility of the top soil is diminished as a result of continuous cultivation, so when the lower soil is brought to the surface through the use of tractors, the productivity of the soil increases. In addition, the depleted top soil has the opportunity to become revitalized for future utilization. This is one benefit of tractors. A second is that farmers do not need to maintain cows for ploughing the fields. Where cows are kept for farming, they are unutilized for six months in a year. During that idle period, many costs occur to maintain them properly. The present age is not the age for utilizing large animals. In Europe horses and elephants are no longer used. To adjust with the times, tractors should be utilized today. One tractor equals the service of at least eight pairs of bullocks. Those who have half an acre or three acres of land need to maintain a pair of bullocks. This is wasteful duplication. In PROUT’s system of agriculture there is no place for intermediaries. Those who invest their capital by engaging others in productive labour to earn a profit are capitalists. Capitalists, like parasites, thrive on the blood of industrial and agricultural labourers. Those who act as intermediaries in the agricultural sector are called “agricultural capitalists”. They get their own land cultivated by others and take the profits. In India, intermediaries have been in existence since ancient times. Different types of landowners such as zamindars, pattanidars, darpattanidars, sepattanidars, jotedars, vargadars and adhikaris constitute the intermediaries. In modern India the zamindary and sharecropping systems have been abolished, but the feudal psychology has not disappeared. The present feudal rulers are not the actual owners of land. They take land on lease from others and pay a certain percentage of the produce to the owner of the land, thus they exploit both the actual owner of the land and the agricultural labourers. The number of these intermediaries is steadily increasing. PROUT does not support these kinds of intermediaries. Slogans like, “The land belongs to those who work the plough,” or, “Those who sow the seeds should reap the harvest,” are untenable. Policies based on such slogans lead to the creation of a petit bourgeois class. According to PROUT, in the first phase of agrarian revolution private ownership of land within the cooperative system will be recognized. People should have the right to employ labour for cultivation, but in such cases fifty percent of the total produce should be distributed as wages to the agricultural labourers who work in the cooperative. That is, the owners of the land will get fifty percent of the total produce and those who create the produce through their labour will get the other fifty percent. This ratio must never decrease – rather it should increase in favour of the agricultural labourers who work in the cooperative. The managerial staff body of the cooperative should only be constituted from among those who have shares in the cooperative. They will be elected. Their positions should not be honorary because that creates scope for corruption. Managers will have to be paid salaries according to the extent of their intellectual expertise. In addition, the members of the cooperative may also employ their manual labour if they so desire, and for this they should be paid separate wages. Thus, cooperative members can earn dividends in two ways – as a return on the land given to the cooperative and on the basis of their productive labour. For this, the total produce of the cooperative should be divided into equal parts – that is, fifty percent on wages for labour, and fifty percent for the shareholders of the land. For the development of agriculture there is also a need for agricultural specialists and technicians. Producers cooperatives should employ such skilled labour. Thus, educated people will not remain unemployed, and they will not leave the villages for the cities. This will ensure rapid agricultural development. PROUT believes in a decentralized economy. So policies must be adopted which not only develop one particular region, but accelerate all-round development at a uniform pace throughout the entire socio-economic area through the planned utilization of all local resources and potentialities. To achieve this aim, local people must first be employed in agricultural cooperatives. In modern India there are two distinct areas – one of surplus labour and the other of deficit labour. That is why people usually migrate from surplus labour areas to other regions. However, the very concept of surplus labour is a relative one. Where adequate opportunities for proper economic development have not been created, there is surplus labour. Labour becomes surplus in all undeveloped socio-economic areas. When surplus labour moves to another region, the undeveloped area has every chance of remaining undeveloped forever. According to PROUT, wherever there is surplus labour, top priority must be given to creating employment for all local labour. This policy will raise the standard of living of the local people and the whole area. If this policy is not implemented and surplus labour is allowed to move to other regions, and the Marxist policy that, “those who sow shall reap” is followed, then all tea plantations, coal mines and other natural resources will be controlled by outside labour. Local people will lose control over their natural resources. This will create a very dangerous situation. PROUT’s opinion is that local people must have first priority in employment opportunities. As long as there is not full employment for local people, continuous efforts must be made until all local labour is fully employed. In addition, no fresh developmental programmes will be started until there is further demand for labour. Scandinavian countries did not commence any new development schemes for this reason. While creating employment for the local people, consideration must be given to local sentiments. For instance, many areas of India are regions of surplus intellectual labour. People in this category are ready to work as clerks for the very low wage of thirty rupees a month, but they are not prepared to work as porters and earn more money. The problem of surplus intellectual labour is a special one and should be solved in a proper way. In these areas industries which require less manual labour should be established. Thus, different development schemes will have to be adopted in different socio-economic units depending upon time, place and person. The present system of collecting revenue on agriculture cannot be supported because it is inconvenient for both the tax collectors and the farmers. Even the zamindary system which was established during the British period for tax collection was defective. Farmers had to pay a specified amount each year to the treasury for the land given to them by the zamindars. In cases of flood, crop failure, or any other reason, this fixed amount still had to be paid to the treasury. The zamindars enjoyed life as social parasites. Even today land tax is determined by the area of land. In cases of crop failure in any year, the government has to reduce its taxes. In cases of abundant harvests, the government has to increase taxes through levies. This system causes great inconvenience to the farmers. According to PROUT, a certain percentage of the farmers produce should be collected as direct taxes. It is also convenient for the government to realize taxes in the form of goods, because it needs to store produce as insurance against future contingencies. Taxes in such a form can easily be distributed from government stores when the people are in need. Moreover, this system will easily meet the requirements of people in the towns and cities. Such a system can rapidly transform the Indian economy. If agricultural labourers only raise slogans of agricultural reform and assault and kill the landowners, they will not change the agricultural system. It is only possible to consolidate the economy through a constructive approach. Sadvipras will have to shoulder the great responsibility of implementing this approach to ensure the welfare of all.